The premier Practice Management System for the eye care industry. Optimizes practice workflow, reduces costs, saves time and increases revenue. Increase sales costlessly through increased store capacity, conversion rates, and average dispense values. Reduce store inventory, remakes, insurance rejections and administration using Acuitas' advanced tools. In charge but not in control? A single view of the truth. Centrally in real-time. Business wide standardization of SOPs. A global engineering team with local experts knowledgeable in the nuances of the specific national market. Compliant with various currencies, languages, tax and healthcare protocols, processes and legislation. Secure and medicolegal compliant off-the-shelf system, with multiple hosting options, suitable for any size optical chain. Off-the-shelf Enterprise POS system, configured to your needs. Expertly supported and continuously developed. Expediting well-ordered software acceptance across multinational organizations. Full spectrum business analysis with Logix BI, providing a full complement of pre-set and customizable blocks. Imagine every practice in your group uniformly ordered. Staff freed from administration to focus on customers. 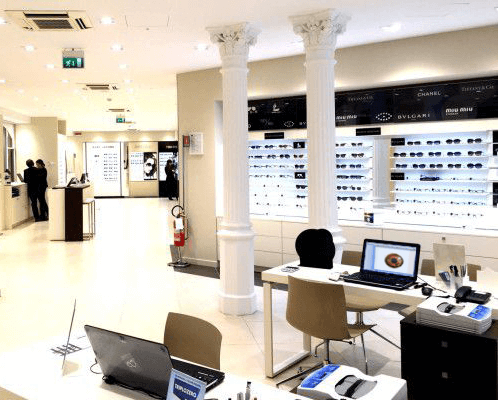 Centrally controlled efficiency running through your entire optical retail chain. Ocuco’s new iPad application delivers convenience and flexibility to front-of-shop staff and supports engagement with patients through the retail element of their practice journey. The iPad app allows patients enjoy a boutique-style retail experience, with the close personal attention of optical assistants from check-in, to dispensing, payment, and collection. 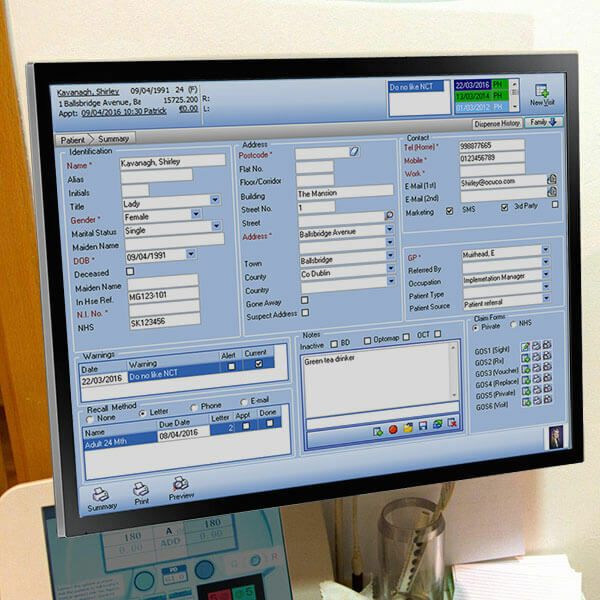 Without the need to revert to desktop computers, staff are free to focus on selecting the right frame and lens options with the patient, checking stock and pricing, and processing the payment and order, all from the shop floor. The individual practices send business statistics, patient scheduling and medical records, turnover, and stock data to the head office / central location continually, providing management with a real time view of each practice individually and the business as a whole. The head office / central location cascades information down, updating each practice according to the directives of the executive management, and maintaining concurrent uniformity of processes and aesthetics between all locations. As every practice’s data is stored in the head office / central location database as well as on site, Enterprise customers are provided with a centralized backup. Combined with external and online backup services, Enterprise customers are assured of the highest standards of data security and fidelity. Acuitas Enterprise can also be integrated, or interfaced, with third party head office systems such as SAP, ERP, Data Warehouses (EDW), and even some Data Mining tools; allowing these applications to send and receive information between the practices and head office / central location through the Enterprise system.